Search Results for "network cables"
Yellow network cables, with alpa matte. Media Converters. 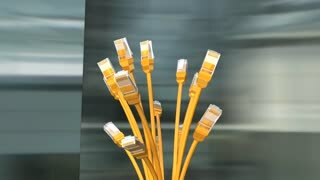 Fiber Optic cables connected to an optic ports and UTP Network cables connected to an Fast Giga ethernet ports. Data Network Hardware Concept. 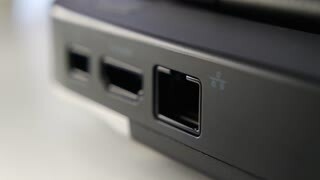 SC UPC connectors. 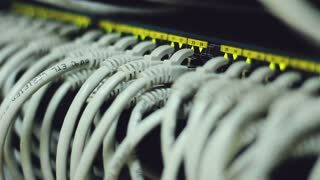 High Quality footage of a network cables in a network room. Filmed in 4K. fiber optical cables connected to optic ports and UTP Network cables connected to ethernet ports. Technology center network server room. 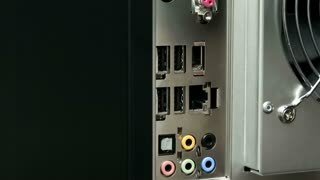 Network cables connected to ports. Plugging in network cables and setting up a wireless wi-fi router. Network cables of the computer server. 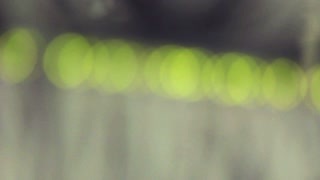 Close up shot of a LAN Tester with port lights blinking, and network cables plugged in.